Chinese smartphone maker Huawei has unveiled its latest flagship device - the Mate 9. 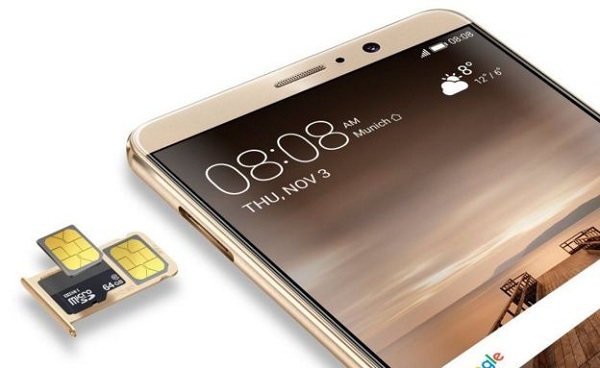 The handset is the company's new top-of-the-line product, positioned above the P9 family and pitched to customers who want to get the very most out of their phone. The Mate 9 is the first to run the brand new Kirin 960 processor, which features a boatload of powerful cores and ARM's new Mali-G71 GPU, alongside Huawei's own i6 co-processor. More than anything, though, the Mate 9 is impressive for its refined software: EMUI 5.0. Based on Android 7.0 Nougat, the Mate 9 features a simplified notification shade, a better home screen launcher experience, with an optional app drawer, and far fewer extraneous features. Then there is the camera setup, which features two sensors on the back - one 20MP monochrome, the other 12MP RGB - for better detail and additional color. Rounding it out is a 4,000mAh battery that should last two days given the 5.9-inch LCD panel's rather homely 1080p resolution. Huawei is also showing off a special Porsche Design version of the Mate 9, which features additional storage, a curved 2K display, and a hefty price tag! The Mate 9 will sell for €699 later this year and the Porsche Design Mate 9 goes for €1395 when it debuts in December. 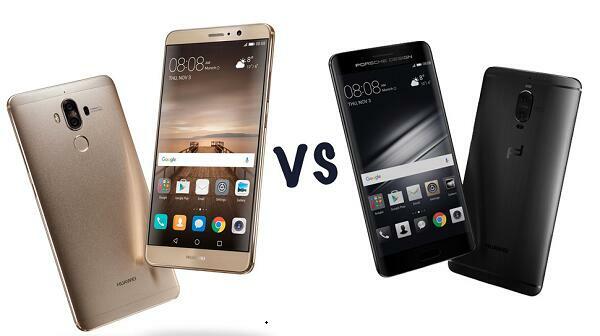 See the common features and the differences between Huawei Mate 9 and Porsche Design Mate 9. If you decide to buy a new Huawei Mate 9 and want to transfer your iTunes videos to the new phone, M4V Converter Plus is recommended for you. 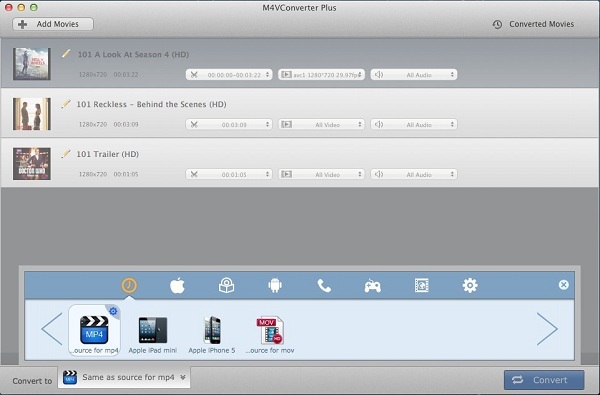 It is an all-in-one iTunes movies converter, which can remove DRM from iTunes videos and convert protected M4V to unprotected MP4. 1. Free download the program on your computer, install and launch it. 2. Click Add Movies button to import iTunes videos to the program. 3. And set Same as source for mp4 from profile list as output for Mate 9. 4. Press Convert button to start iTunes to Mate 9 conversion. 5. Connect Mate 9 to the computer using a USB cable, drag and drop the converted files to the phone.